Cheese is a delicious type of dairy food and it plays a key part in almost every cuisine in the world. While everyone has their personal favorite, some people like to discover new varieties of cheese. This article will present a list of delicious cheeses from around the world, alongside their main characteristics and nutrient profiles. In my opinion, these are some of the best types of cheese money can buy. All nutrition information is per 100g and sourced from the USDA Food Composition Database. Brie is a soft and creamy cheese from the region of Brie in Northern France. The cheese has a delicious soft center surrounded by a slightly chewy rind. Brie is much milder and creamier in flavor than its cousin Camembert, and this is down to two things. First, producers add cream to Brie before fermentation, and this gives the cheese a higher fat content. 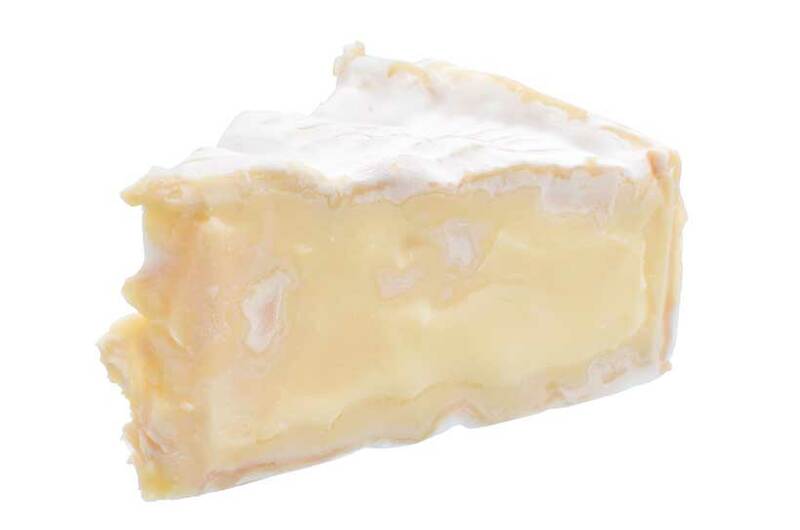 Secondly, much smaller amounts of bacterial cultures (lactic acid) are added to Brie, giving it a lighter flavor. Brie is one of the most popular cheeses in the world, and it pairs well with cured ham, fruits, and wine on a cheese board. Additionally, various recipes that involve baking Brie are becoming increasingly popular. Key Point: Brie is a deliciously creamy, high-fat cheese with a soft and mild flavor. One of the most famous cheese names in the world is Camembert. Similar to Brie, this cheese’s origins lie in Northern France. The cheese is named after the town of Camembert, situated in the Normandy region of France. Camembert and Brie may look the same, and although Camembert is less creamy, it makes up for this by turning up the flavor dials. For one thing, Camembert is ripened/fermented in smaller sizes, which allows for a faster process. This process means that Camembert will age quicker (and be more pungent) than an equivalent-aged Brie. Camembert also has a much stronger smell, which puts some people off. 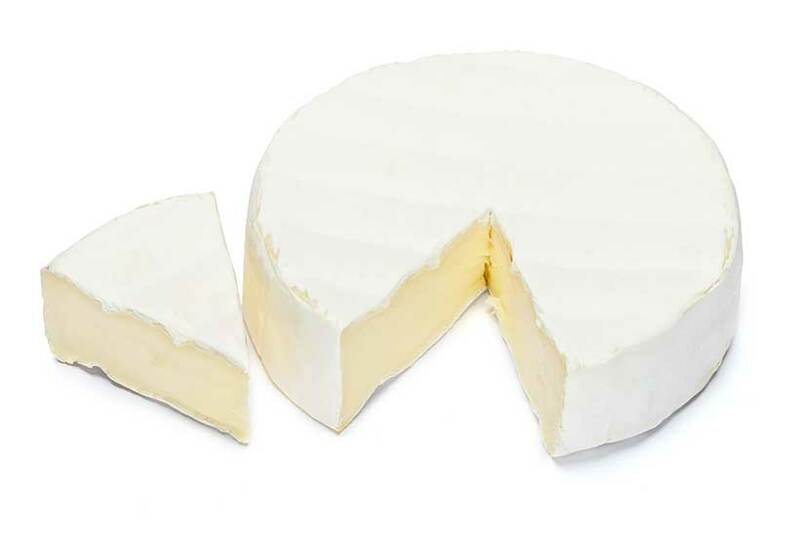 Key Point: Camembert shares many traits with Brie, but it has a stronger flavor. 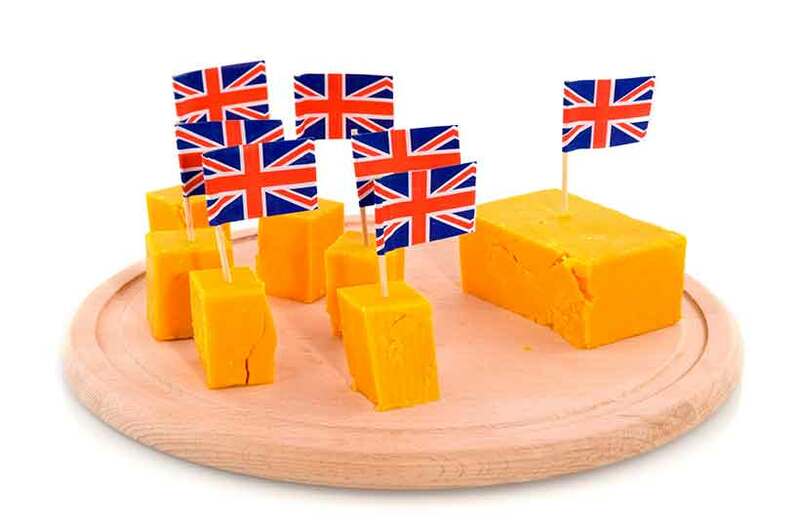 Possibly the most famous variety of cheese, Cheddar comes from the village of Cheddar in Somerset, England. There are all different kinds of Cheddar, and the cheese comes in many different strengths. 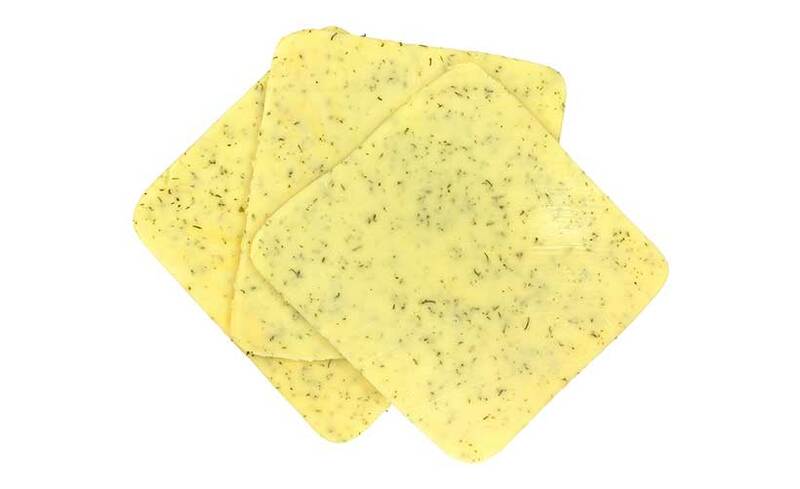 Mild cheddar has a soft and smooth texture, and a light and almost creamy flavor. On the other hand, vintage cheddar is hard and crumbly and has a powerful, sharp, and tangy flavor. It may also develop crunchy cheese crystals, these crystals are a result of protein breaking down, but they taste delicious. Key Point: Cheddar can range from mild in flavor to a sharp and powerful cheese. It is possibly the world’s most recognizable cheese. Cottage cheese is very different from most other varieties, and its closest relation is probably ricotta. First mentioned in early-19th century America, cottage cheese is made by acidifying curds from milk with a bacterial starter culture. Due to the different production process, the nutrition profile is very different from other types of cheese. It has a very low fat content and is therefore much lower in calories. 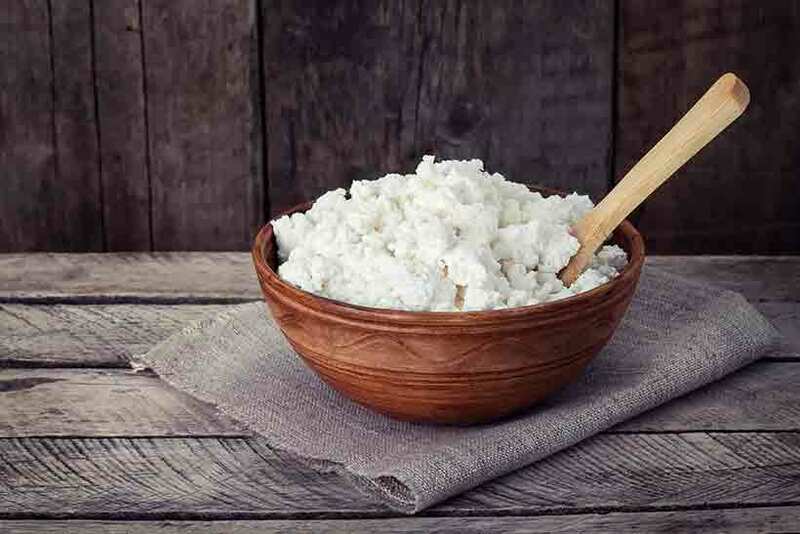 As a result, cottage cheese is particularly useful for those wanting a more protein-dense option. On the negative side, some people find the appearance of cottage cheese off-putting. They may have a point because the lumpy texture somewhat resembles cold rice pudding. However, it does taste good, and it has a mild, salty, and creamy taste. We can also use it in various recipes, such as these delicious cottage cheese pancakes. Key Point: Cottage cheese is a popular type of cheese, especially in the UK and United States. It is full of protein and very nutrient-dense. Feta is a famous Greek kind of cheese made from either sheep or sheep and goat’s milk. Unlike many other kinds of cheese, it is not named after the place where it first originated, and “Feta” actually means “slice” in English. Feta has quite a unique taste, and it is very soft and creamy with a salty and tangy taste. However, the flavor can vary greatly depending on how it is prepared or cooked. For instance, there is a wide variety of ways to serve Feta; it can be grilled, eaten raw in a salad, or marinated in olive oil and several herbs. Since Feta uses sheep or goat’s milk, it may be suitable for those who have sensitivities to cow’s milk. 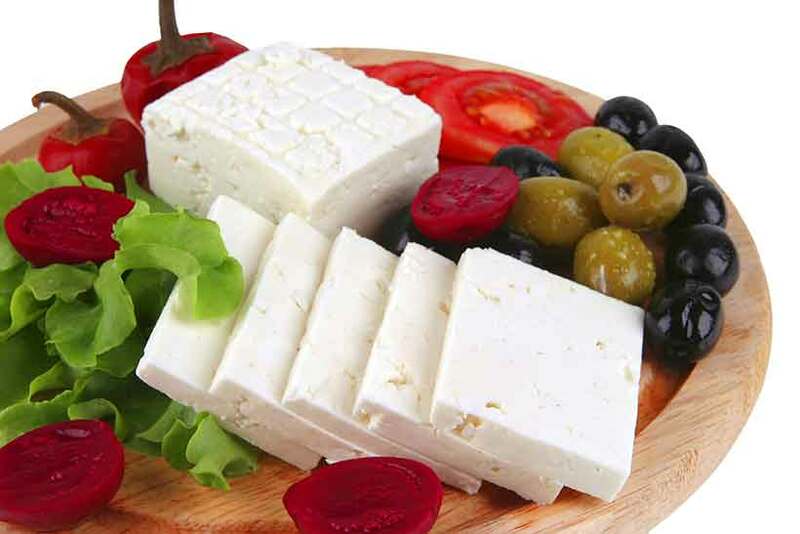 Feta is lower in fat and calories than hard forms of cheese, despite also offering an impressive range of nutrients. As a result, it is very nutrient-dense. Feta is available either in a block or in “crumbled” form, and it is usually packed in a brine solution. Key Point: Feta is a highly nutritious cheese made from pastured sheep and goat’s milk. Gorgonzola is a strong and powerful cheese from Italy that packs a big flavor. There are two main varieties of this cheese; Dolce and Piccante. Typically aged for less than three months, Dolce Gorgonzola is a very soft, creamy, and almost spreadable cheese. For blue cheese, it is also quite mild and has a slightly sweet flavor. However, the key words there are “for a blue cheese” – it is still sharp and pungent compared to other cheeses. On the other hand, Piccante Gorgonzola ages for between six and twelve months, and the extra aging time is apparent when you first taste it. The texture is semi-hard and crumbly, and the flavor is intensely pungent. For this reason, it is better paired with food rather than eaten alone. Key Point: Gorgonzola is one of the more intense cheese varieties, and it packs a punch in the flavor department. Gouda is a Dutch cheese from the town of Gouda in the Southern Netherlands. Interestingly, the taste, texture, and flavor of Gouda can vary a lot. 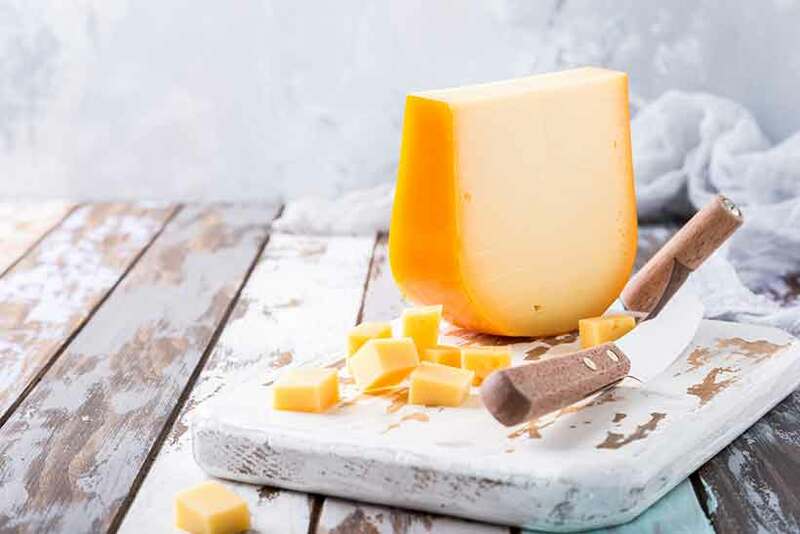 Due to the extensive differences in aging time (anywhere from 1 month to 36 months), two different types of Gouda can taste entirely different. Younger cheeses are mild in flavor with a smooth, semi-hard texture; older Gouda is hard and crumbly, with a deeper flavor. Key Point: Gouda comes from the Netherlands and it is one of the most popular cheeses in the world. Gruyère is a Swiss cheese from the medieval town of Gruyères in Fribourg, Switzerland. It is a hard cheese with a dense, compact texture and a good depth of flavors. Gruyère is aged for between 6 months and a year, and this longer aging time is responsible for the harder texture. As the cheese matures, so too does the flavor. Gruyère can be eaten alone, but it is often used for culinary purposes and makes a delicious grated topping on many foods. It is also a common ingredient in toasted sandwiches, and a variety of French soups and stews use it. If you can find it, the unpasteurized (raw) version of Gruyère is especially tasty. Key Point: Gruyère cheeses are some of the best types of cheese you can eat; the older ones are particularly delicious. Havarti is a semi-soft Danish table cheese. Like all cheeses, the flavor of Havarti develops as it ages; young Havarti has a mild, buttery texture and a slightly tangy taste. In contrast, older varieties are still smooth and creamy but taste sharper with a salty and robust flavor. However, the typical aging process of Havarti lasts for around three months. Havarti makes a great pairing with wine, cured meat, and fruit, and many people like to grill it. Key Point: Havarti is a soft and creamy cheese from Denmark. 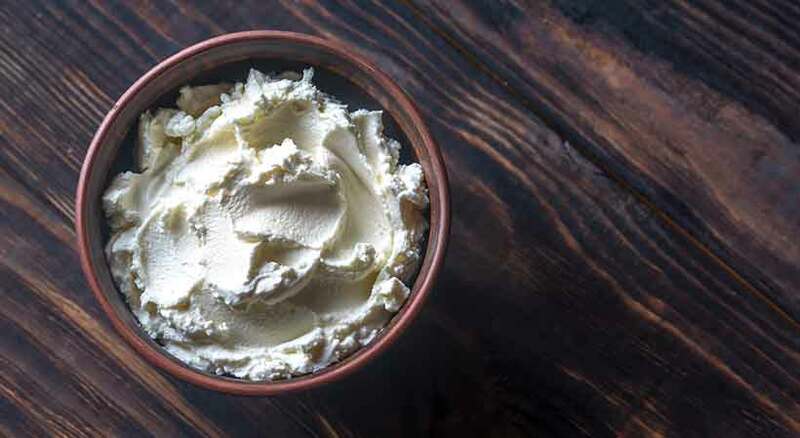 Mascarpone is a soft cream cheese from Italy and can either be made with cow’s milk or cream. Mascarpone has many uses, and it spreads easily like standard cream cheese. Popular foods that use Mascarpone include the Italian dessert tiramisu and risotto, and many cheesecakes use it too. In terms of appearance, Mascarpone is a creamy white color, and it looks similar to yogurt or a thicker version of sour cream. Mascarpone has a delicious light, creamy and very mild taste. Some people say it is a more flavorful version of cream, and I would say it tastes similar to clotted cream. Key Point: Mascarpone is one of the most famous soft cheeses, and it has a light and creamy texture. People typically use it with fruits and desserts, or to thicken sauces. Mozzarella is one of the best-known cheeses in the world. It originates from Southern Italy, and it is traditionally made from Italian Buffalo’s milk. However, in recent times, Mozzarella from cow, goat, and sheep’s milk is being produced. Mozzarella comes in two main varieties; fresh and dried. The fresh version is delicious by itself or with some olive oil and herbs. It is also a frequent ingredient in various salads. On the contrary, dried Mozzarella is for culinary purposes; most commonly pizza, lasagna, and other baked dishes. 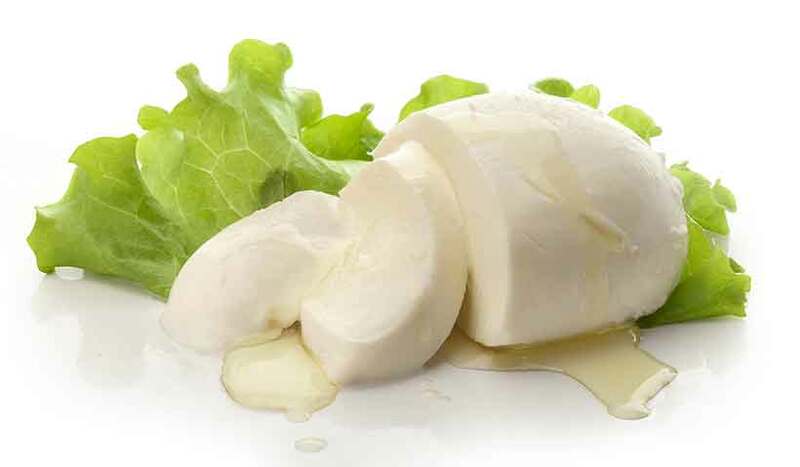 Key Point: Mozzarella is one of the most prevalent kinds of cheese in the world. Marking the third Italian cheese in a row, Parmigiano-Reggiano is a dry, crumbly, hard cheese with a strong, robust flavor. People often refer to the cheese as Parmesan, and it has a protected designation of origin (POD status). This designation means that the cheese can only be from its home region in Northern Italy. 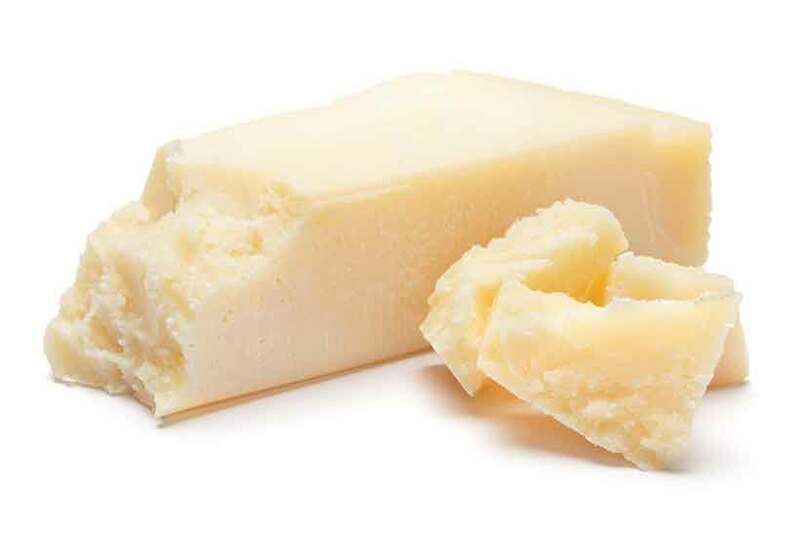 Parmesan usually comes in unpasteurized form, and it undergoes an aging time of between one and three years. Consequently, it is very rich in flavor and can be overpowering when eaten alone. Usually, Parmesan is used as a condiment for various dishes and may come in a granular, powdery form. Key Point: Parmesan is an Italian cheese that is most often used as a condiment, and it adds a lot of flavor to foods. 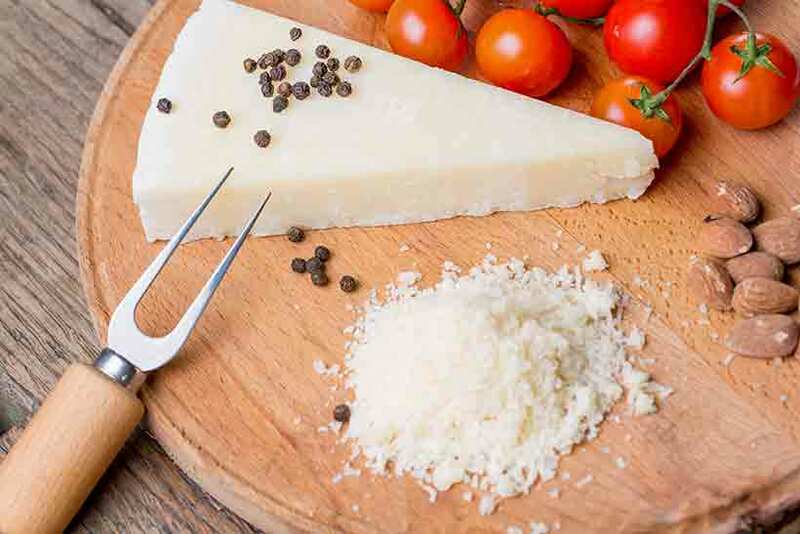 Pecorino Romano is one of the world’s oldest (and favorite) cheeses, and when you taste it, it is easy to understand why. The cheese goes back to Roman times, and it was part of the staple diet for Roman legions. Pecorino Romano uses sheep’s milk, and it is very hard and salty. It is very similar to Parmesan in appearance, but it tastes much saltier and sharper. For those who appreciate strong flavors, Pecorino Romano is an excellent choice. However, those look for something less powerful might want to try Parmesan. Pecorino Romano should not be confused with generic ‘Romano’ cheeses in the North Americas. These cheeses use cow’s milk and are much milder in intensity. Key Point: Romano dates back to the Roman empire, and it is still one of the world’s most popular cheese options. Ricotta is a soft fresh Italian cheese made from whey. This cheese has a mild, slightly sweet, and creamy texture, and it is one of the most popular types of cheese in the world. Ricotta has some excellent nutritional benefits too. For one thing, it is lower in calories than most other cheese options and it is an excellent source of protein. Low-fat versions of ricotta are also available, and these are very popular with athletes and bodybuilders due to their impressive protein-density. For a detailed review, see this guide to the nutrition benefits of ricotta. 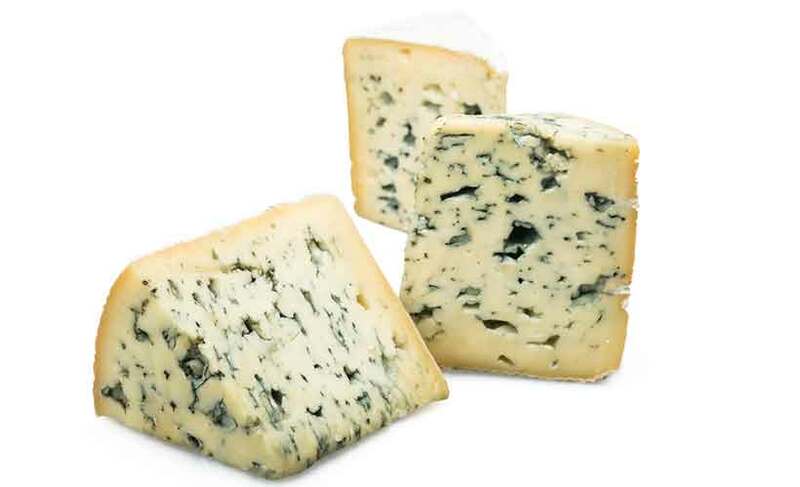 Roquefort is the French entry into the world of blue cheese, and it is known locally as the ‘king of cheese’. 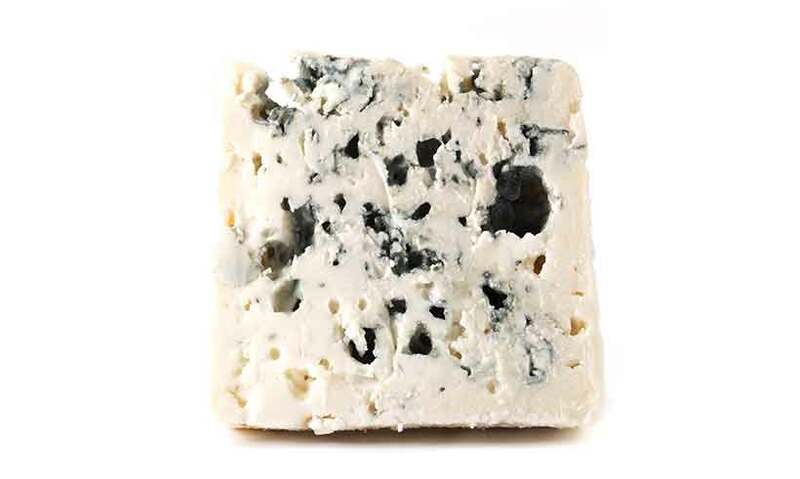 Roquefort comes from sheep’s milk and it is ripened in the caves of Roquefort-sur-Soulzon, Southern France. Reportedly, these caves contain a particular type of bacteria in their soil, which gives Roquefort (and other blue cheeses) some unique characteristics. This bacteria is known as Penicillium roqueforti, and studies suggest that it may help to guard against cardiovascular disease. Producers typically age Roquefort for around five months, and it has a sharp, tangy flavor. Key Point: Roquefort is a delicious and flavorful soft blue cheese from France. Blue Stilton is one of the most famous types of cheese from England, and producers now export it around the world. Stilton has a long and rich history too, and it has played a part in the English diet since the early 18th century. While the cheese is quite strong and flavorful, it isn’t quite as sharp as other blue cheese varieties, and it has a more mellow taste. The cheese has some interesting nutrition benefits too, and it is an excellent source of vitamin K2. See this full guide to Stilton for more information. 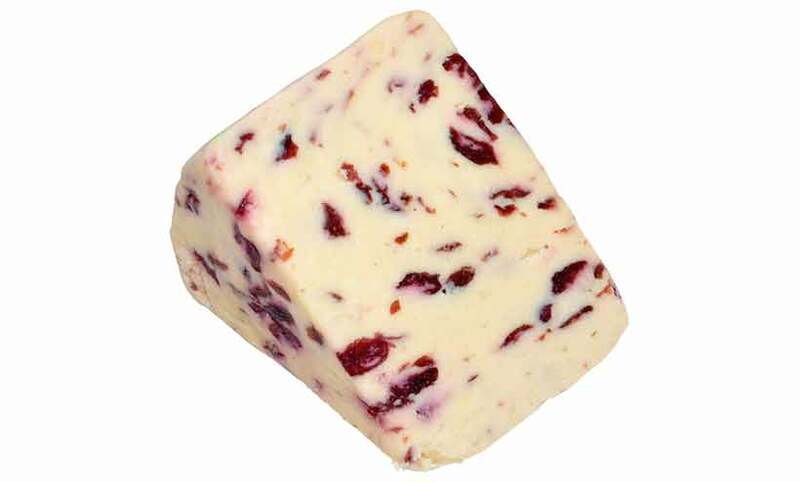 Key Point: Wensleydale is a popular British cheese and it often contains dried fruit. Wensleydale is a famous British cheese that is originally from the village of Wensleydale in North Yorkshire, England. Wensleydale has a white to pale-yellow appearance, and it is a crumbly cheese. The flavor is somewhat tart, hence is it sometimes combined with fruit, especially cranberries and apricots. Although it is available in white and blue versions, white Wensleydale is far more prevalent these days. What is the Best Cheese? The “best cheese” is very subjective and depends on the individual. That said, if you’re looking for the most health benefits, then look for aged cheese from animals predominantly raised on pasture. This aged hard cheese offers one of the most abundant sources of vitamin K2. 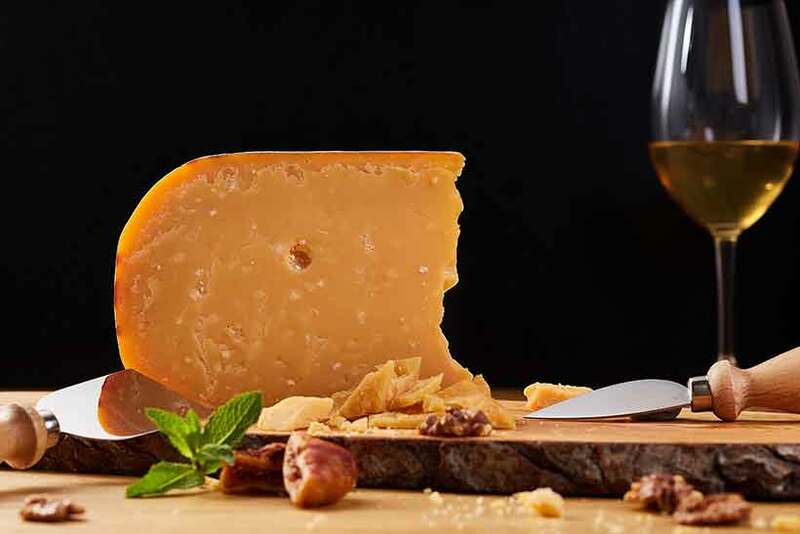 Parmesan, Gruyère, and vintage cheddar are all excellent choices for this nutrient. However, all cheese is nutritionally beneficial and contains a wide range of nutrients. In short; the “best” cheese is simply the one you enjoy the most. I love all three, but it’s hard to dislike any cheese to be fair! What about Stilton, the’king of cheeses’? Good point, Stilton is a great cheese! I shall add it in there shortly. Thanks Michelle, glad you liked it! Both of those are great. For me, though, it is hard to beat a good aged Cheddar. This is extremely useful! Thank you! Thanks, Mr. A – glad you found it useful! Thanks for the feedback, Mike. I’ve updated the term to “animals predominantly raised on pasture”. Nutrition Advance is a website dedicated to providing trustworthy food and nutrition articles based on science. NutritionAdvance.com does not provide medical advice.